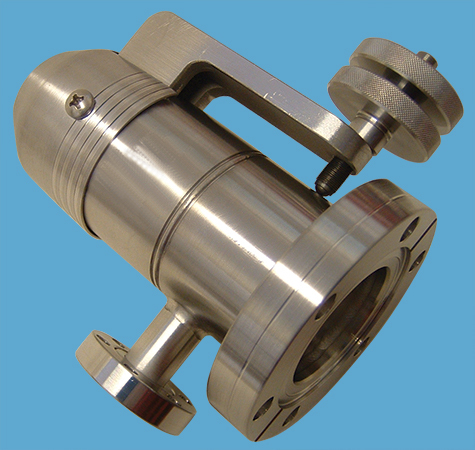 This variable leak valve consists of an adjustable piston which controls the position of an optically flat sapphire against an OFHC copper seal. The movement of the sapphire is adjusted via a threaded shaft and lever mechanism with mechanical advantage of 13,000 to 1 which allows very fine adjustment of the leak by the user. Backlash is kept to a minimum by spring-loading the lever mechanism. The sapphire and copper sealing parts have a limited life cycle and are easily replaceable by the user. • Minimum leak rate of 1.3 x 10-10 mbar.l/second. • High temperature rated to 450°C. 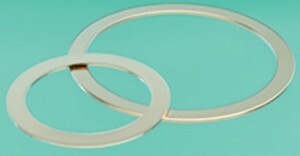 • Replaceable sapphire and seal gasket. • Easy to control leak adjustment with minimum backlash due to high mechanical advantage actuator arm. 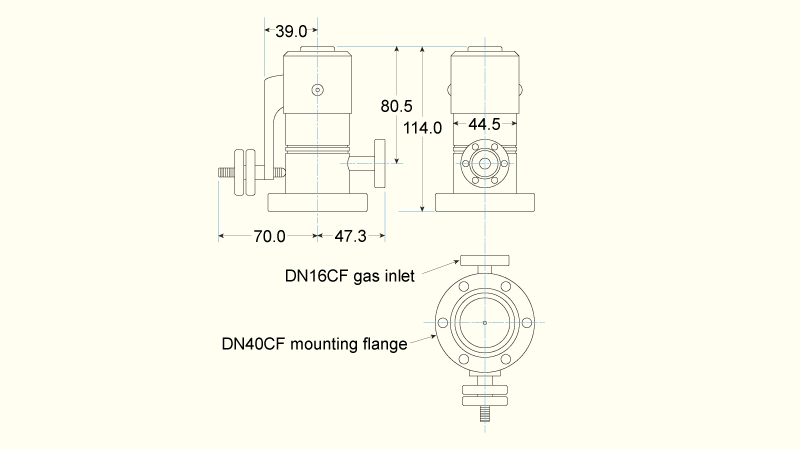 • Alternative flange configurations available on request. Body & Flanges : 304 St.St.